We strive to be your primary source for all of your stonework and masonry needs. We are dedicated to offering top quality durable products and exceptional customer experience. We know our customers have many choices for their landscape and construction materials needs. Our mission is to continually satisfy their highest expectations for quality, service and integrity, to earn their trust and keep them coming back. It's a mission fulfilled through years of repeat business, and a commitment we proudly renew each day when we open our doors for business. What matters most to us is the same thing that always has: giving our customers a business advantage. Del Gunnells, owner of Gunnells Concrete INC., has a BBA in Marketing from Texas State University in San Marcus and a comprehensive knowledge/experience in construction. After 10 successful years in sales, he obtained extensive training through Symons Concrete products, Ardex and Semco Inc. 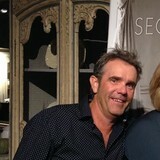 He worked for The Stamp Store with Doug Bannister; one of the leading experts in the decorative concrete industry. In 1998, he formed Gunnells Concrete Design, Inc. Over the past decade, our extensive product development and practiced understanding of the material has coincided with the rise in popularity of concrete. It is a widely available and sustainable material capable of providing an ageless earth element to an expansive range of projects. Applicability in the kitchen and bath has taken off in the last few years and Gunnells Concrete's name has become synonymous with "designer concrete" in the Houston Area. Innovative Surfaces of Texas, Houston-a decorative Concrete Overlay company started in 2003 and based in Cypress, Texas, specializing in various forms of decorative concrete including: Spray texture/decks (commonly referred to as “cool deck”) Stamp overlay (coating that resembles stamped concrete, but can be done on new and existing concrete) Re-sealing existing decorative concrete (re-coloring existing decks with either color seal or stain & seal to make vibrant again) Epoxy floors (garage or warehouse application) Mastic replacement (replacing existing wooden or plastic joints, or existing mastic with new fresh mastic) Acid stain & acetone dyes And various other forms of decorative concrete. The showroom is located at 12120 Galveston Drive, Cypress, TX 77433 and is available by appointment only! Legends Architectural Stone located in Houston Texas offers one of the largest Natural Building Stone selections available to Texas market. We specialize in both Residential and Commercial construction as well as landscaping. Whether you are an architect, home builder, general contractor, designer, landscaper, or pool builder, our one-on-one service combined with over 25 years of industry experience, assures our clients the best possible service available in the industry. In addition, we offer complete turnkey design/build outdoor living packages to our contractors and homeowners and can even assist you in locating an installer for your projects through our partnerships. At Legends Stone, integrity and customer service are paramount in all products and services provided. We welcome you to visit our outdoor and indoor showrooms and feel free to use our conference center as well with your architect and designer colleagues. Alamo Stone™ is headquartered in Stafford, Texas, conveniently located on Houston's Southwest side. Alamo Stone™ has been providing full service cut stone and landscaping products to both commercial and residential clients since 2001. Growing to one of the Southwest's leading suppliers, Alamo Stone™ has built a reputation of superior product quality and selection, unparalleled workmanship, competitive prices and expert customer service. We are a leading company in the production and application of cement-based coverings on floors and walls. We manufacture Microcemento®, a noble and versatile product of quick application and foot traffic, ideal for the creation of original spaces, where you are only limited by your imagination for design. Besides designing, manufacturing and applying Microcemento®, we have over ten year’s experience in advising our clients. We can materialize the design you are seeking in the most efficient way possible. We listen to and interpret the needs of our expert and non-expert clients. We always fulfill our commitments. Microcemento® enables you to develop spaces creatively. Its ductility renders a fine, unmatched finish, in harmony with the style desired. We are on the cutting edge of our sector. We offer you the best product on the market and can create the space of your dreams. "The Art of Concrete" Concepts In Concrete is a family owned business, with over 19 years experience in the floor coatings arena. CIC has coating systems that range from the 'extreme abuse' environments, to decorative coatings for your back patio. Over time, CIC's research and development teams have perfected coating systems, that will not only protect against chemical attack, they may require an anti-slip profile for safety, as well as a high gloss finish for look. CIC has incorporated different types of aggregates and color flakes to produce beautiful floor coatings that are extremely durable, cost effective, with very low maintenance. The Ark Concrete Specialties, Inc., is a Cast Stone manufacturer in Houston, Texas. Our cast stone products are of the highest quality. We are proud of the fact that there is no finer cast stone product. We are especially proud of our Fireplace Surrounds and have many from which to chose. Our clients are as proud of their cast stone products as we are. Every piece is hand made and inspected for quality before it leaves our plant. The Ark has been in business in Houston, Texas for 24 years. The founder, Brian Penso, has over thirty-six years experience in the concrete industry and 12 years in cast stone manufacturing. Our cast stone products are of the highest quality. We are proud of the fact that there is no finer cast stone product, nor a better guarantee in this industry. Our clients are as proud of their cast stone products as we are. Every piece is hand made and inspected for quality before it leaves our plant. We have the ability to make custom molds on site and can do any custom project or any size project you might have. We have 30 employees and run our production out of a 30,000 SqFt warehouse. We have two full time delivery trucks and can ship locally or non-locally to any of the southern continental US states. We have done both residential and commercial cast stone projects. Check out our Products page and Projects page for some pictures of projects we have done before. References available on request. We look forward to giving you a free bid on your next project. Feel free to email us plans or contact us by e-mail, phone or fax at any time to discuss your construction needs. If you have any questions, comments or would like to schedule us for a bid, please contact us. You can contact us through our Contact Us page above. We look forward to serving your needs! Hill Country Rock is based in Houston providing quality thin natural stone veneer. With access to many of the finest stone quarries in the South Central United States, we are sure to have the perfect stone for you. Hill Country Rock takes a "hands on" approach to selecting only the best quality stone from the best quarries. With over 20 years of experience in the stone & masonry business, Hill Country Rock's consultants are ready to help you pick out the ideal stone for your project. Picking out the right stone is only part of the process; choosing the right mortar color, tooling techniques, and stone pattern are equally important design elements that will impact overall appearance. Thin natural stone veneer is the perfect application for bringing beauty and elegance to your project. Exterior applications simplify stone installation over roof lines, windows, and arch ways without the need for lintel support or a concrete brick ledge. Interior applications include stone accent and feature walls, stone fireplaces, stone backsplashes, and cook centers minimizing the amount of square footage normally consumed by conventional full stone. Click the link below for more advantages. We look forward to your call! We install hardscapes. Pavers, outdoor kitchens, fire pits and places, patios, walkways, and pergolas. We also have a construction arm that remodels homes and builds homes. We have been in business since 1994 and are determined to provide excellent service to all of our customers. We do our best to stay current in our profession by periodically attending training seminars and demos from our product manufacturers. Our goal at L&L Concrete Contractors is to provide our customers with the best products such as overlays, coatings, and stainings. Our expectation is to provide you with a long lasting concrete surface for years to come. We can help you with: Concrete Patio Slabs Concrete Driveways Concrete Sidewalks Stamped and Stained Concrete Concrete Restoration and Sealing Concrete Ready Mix Delivery ....and much more! 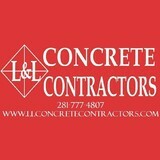 Our motto here at L&L Concrete Contractors is this, "TOP QUALITY WORK IS OUR PRIORITY. THEREFORE, WE ARE DEPENDABLE AND RELIABLE ...EVERY TIME!" Natural Stone In All Its Beauty We provide hand-carved architectural natural stone. Serving the state of Texas since 2004, we work with builders, Architects, Interior Designers, Contractors and Home owners. We primarily work with Limestone, Lueders, Travertine and Cantera Stone.All our products are customized.We fabricate our products. Supplier of new brick, antique brick, manufactured stone, natural stone, concrete block(CMU), masonry cement, mixers, and cleaners. Fireplace surrounds, fire bowls, outdoor kitchens, landscape products, and much more. Brick Restoration, Inc. has been family owned and operated since 1993 and has since then been committed to providing property owners with the highest quality masonry restoration services available. Our #1 goal is to exceed customer expectations everyday, on every project! 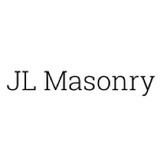 We serve the Residential and Commercial communities, and provide commercial and multi-family property managers with turn-key maintenance and restoration services, planning assistance, and technical consultations for masonry restoration projects. Brick Restoration is the choice of quality restoration and specialty contractors throughout the Gulf Coast. Our patented products and technologies have been field tested for top performance on all restoration and new construction projects. Our highly trained technicians insure the quality of every job regardless of size or scope. When you contact us for assistance we will schedule a free evaluation by one of our expert technicians and a written proposal will be provided within 24 hours. Contact us today for more information or to schedule a free estimate. From installing new exterior columns to repairing your chimney, masonry contractors can help you add both visual appeal and value to your property. They’ll know what kind of installation makes the most sense for your League City, TX climate and regional style. Looking for something that will develop a patina with time? Or would you rather have your home feel brand new for years to come? Choosing the right kind of stone involves thinking about the future, too. Experienced brick suppliers and stone suppliers can help you find the material that will work for your home now and for years to come. These professionals aren’t limited to exterior work either. Whether you want a split-stone granite wall in the kitchen or need help installing traditional brick masonry on your fireplace facade, you’ll want a professional to get it right. If you’re already working with an architect or designer, he or she may be able to suggest a good League City, TX subcontractor to help out. Here are some related professionals and vendors to complement the work of stone, pavers & concrete: Landscape Architects & Landscape Designers, Architects & Building Designers, Garden & Landscape Supplies, Driveways & Paving, Siding & Exteriors. Find stone, paver and concrete professionals on Houzz. Search the Houzz Professionals section for League City, TX stone, paver and concrete professionals. Browse photos and read reviews, and contact a pro if you like their work.